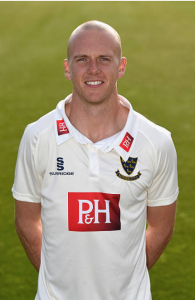 My last day of wearing a Sussex Cricket shirt was 7th July 2016. I can still feel the sharp pain in my lower left back as the fracture, that would ultimately end my career, materialised. As much as I was not willing to accept its reality at the time, I could not stop the impending moment in which I would have to announce my retirement from the dream I had worked so long for. From the day of my injury to the day I announced my retirement, it was a blur. Hospital appointments, injections, meetings and insurance calls all merged into one as time went by, and I was on autopilot. Until a little question that I had been suppressing for years, surfaced. Punching in a few details into Google soon revealed that there were athletes out there with Poland Syndrome in the games, and winning! 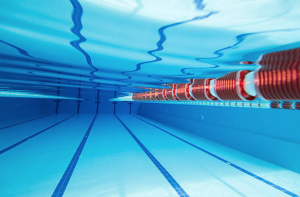 With a little more research, I was able to see that my best chances lay in swimming (my Poland Syndrome didn’t affect my legs or balance and so I wasn’t going to classify on a track or field event). However, my condition does effect me when swimming (my power is a lot different on my right to my left). Swimming became the target. Through a friend who competed in Rio 2016 Paralympics games, I was able to get in front of the Head Coach for TeamGB Para-Swimming to assess my ability. 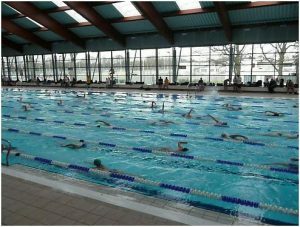 Initally, I think there was more interest in my story around my cricket career, condition and what I’d achieved but once I was able to show them I could swim well enough; they guided me to a local swimming club, Crawley Swimming Club. After an initial phone call with Head coach Ron Philpot. It was agreed that I would train twice a week with Crawley SC plus three or four times on my own. The first training morning comes around, 6am start in the pool. With a 30 min car journey, plus breakfast before (I do not function well without food before exercise). Leaving me with a 5am wake up. Awesome. My alarm would belt out at this unnatural hour, with every cell in my body drawn to staying in my warm cocoon of a bed. I'd muster the strength to unwrap myself into the cold surroundings of my flat and pull on my jammers (swimming lycras) with 3 layers of warm clothing following in breakneck speed. Followed by a bowl of porridge with banana, grab my water bottle and head out the door. As much as this may have seemed a challenge to begin with, it paled in comparison to what was to follow in the pool. I would arrive at the swimming pool, along with the other swimmers, of all ages, all wrapped in multiple layers to stay as warm as possible, until the time came to remove clothing. Making my way to poolside I would confront my first challenge of each training session. 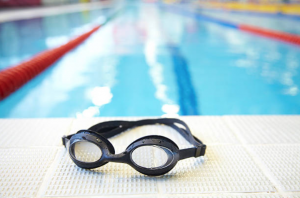 It didn’t come in the form of a physical task, nor anything to do with swimming. For me my first hurdle was revealing my condition (taking my top off) in front of everyone. This had been a place of huge anxiety for me in the past. Body confidence. Here was my first lesson: What happens in reality, is never as bad as your own thoughts. What did I expect to happen when the other swimmers saw my condition? The whole room stop, point and laugh? No, they were concentrating on what they had to do that morning and saw me as another swimmer doing ‘his thing’. While the squad warmed up I would run through my own routine to ready my body. Until, Ron did the best thing that could have happened in my time training, whether on purpose or not, I was given my own lane. In I jumped, the cold water stealing the first breath of the morning but as soon as I was moving, it was ideal. The plan was that I needed to work on technique. The motto “in order to swim fast, you must first learn to swim slow” was what I lived on for months. Starting with tedious drills focusing on technique with meticulous accuracy. Moving onto workouts for increasing endurance with a few power sets being introduced and on occasion, a ‘lactate set’ (may I pray you never experience one of these!). While my physical state drastically changed (swimming fitness is a completely different animal to anything I'd experienced before), I slowly began to see a difference in my mental state between the times I was training on my own to the days I would training with the swimming club. I could sense more frustration in me when I was training in the club mornings. But could see why was this? I soon noticed that in my periphery were other swimmers in the lanes next to me and I could feel I was competing with them. Compared to when I trained on my own, I was solely focused on what I was doing. By this I mean focusing on your own improvement; to not judge or compare where you are at now with others. For me I was comparing myself with swimmers who had be training the majority of their lives, not to mention they were fully able-bodied! I was being unrealistic. To compare myself to people who physically had more than me was just, as I said, unrealistic. But what I could do was to look at whether I was improving each time I trained and take positives out of each session. As my training progressed, so did developments with getting a classification. Culminating in a classification meet in January. Where sadly I was to find out that my condition would not be eligible to compete in a para-swimming classification. And that was it. A year of training for a twenty-minute meeting with a "no" at the end. Looking back, I am so incredibly glad I tried. It taught me so much. To all the swimmers at Crawley Swimming Club, thank you for making me feel welcome. To see the commitment that they give from such a young age is inspirational to anyone who witnesses it. 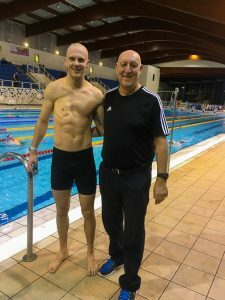 I am so thankful for Ron and his invaluable coaching, both in and out the pool. Not only did it make me a better swimmer, but a better person. Do you worry about others progression too much? Can you stay focused in your lane?